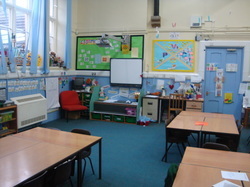 This page is about places in School Year Groups other than Reception. All other Year Groups have reached their Planned Admission Number (PAN). The Governors have an ‘Exceeding PAN Protocol’ which you can read below. If you are in any doubt, please contact the school to discuss your situation. If you are able to take a place in the year group(s) listed above, older and younger brothers and sisters could still qualify for places, even if their year groups are full! Please talk directly to us on 01453 542600, or email admin@northnibley.gloucs.sch.uk outside office hours. For Reception, Governors are able to admit children according to a number of different criteria, even after the County Allocation Process is complete. Click here for the ‘Timeline’ for the allocation of Reception places.